A controversy surrounding missing votes during the 2014 election in Mineral County has finally been laid to rest with no changes in the outcome, but one very close call. The official count did not include 178 votes cast on one machine used in early voting. That’s a fair chunk of the votes cast in this rural county, about 12 percent of the total votes cast, enough, as it turned out, to have potentially changed the outcome in three local races. Outgoing Clerk-Treasurer Cherrie George says she first thought the error was on a machine which was malfunctioning on election day and was pulled. Later she traced it to one which was used during early voting. At the outset she was apparently told by the Secretary of State’s office to adjust the vote totals to match. She was still seeking answers when she left office. She left the cartridge and paper trail from the machine in question in a locked drawer in her desk where it was found by the incoming Clerk-Treasurer. She told us, however, to satisfy her own concerns she tallied the votes in the paper trail and determined they would not have changed the outcome in any of the three races. Still, the controversy simmered for some time. Some local residents demanded to know if their votes were counted. The voting machine vendor, Dominion, never fully explained the failure, though they did suggest that two cartridges must have been given the same number. One of the three losing candidates ended up getting the job after all. Chris Nepper was named Clerk-Treasurer when Lorraine Haight resigned. Still, he filed a lawsuit aimed at resolving the questions about the election outcome. He has since dropped that lawsuit, but he and the others now have their answer. [Last week], Nepper released all the materials from the 2014 election for public scrutiny, prior to their being destroyed. A small handful of people showed up to do the long, delayed count. There were changes. Handte gained six votes, Nepper 14. Not enough to have changed the outcome. Chisum, however. came close, losing by just one vote. I’m not sure there’s any huge, overarching point to be made here other than marveling at the persistence of everyone involved to get to the bottom of the mystery. Regular readers of this blog know that I almost always close my posts with some variation of “stay tuned”; that’s partly a stylistic gimmick but also a nod to the fact that many of the stories that pop up here take a while – sometimes months or even years – to resolve. In a time where controversies bloom, rage and fade in a single news cycle I find that oddly comforting – and it’s yet another reason I’m proud to be an election geek. 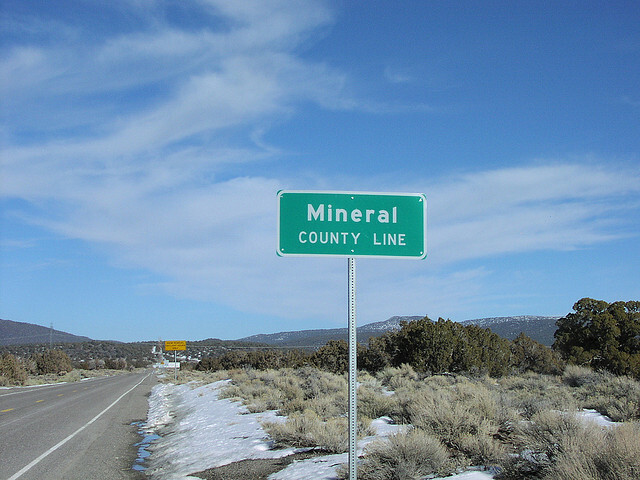 Be the first to comment on "The Case of Mineral County’s Missing Ballots: Finally Solved"